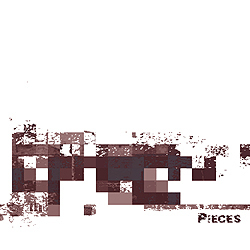 Pieces is a project designed to stretch the borders of incidental sound composition. A compilation comprised of eleven tracks created using four-second chunks of a live performance featuring Khate, FERALCATSCAN and Controlled Dissonance. The results are as varied as the artists who contributed them, with the source material twisted and manipulated into dark ambient, noise, abstract, electronica and ambient.